FM Transmitter - Set the FM frequency on WayWay Q4035 and then tunes your car stereo into that channel to listen to clearer voice navigation or MP3s in your device. 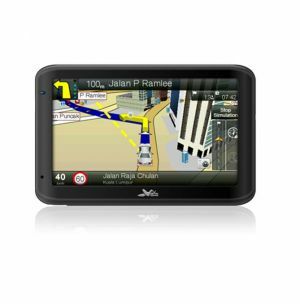 Video input – If you install a backup camera in your car, you can view the video on your WayWay Q4035 display screen by connecting it with a video cable. Bluetooth – Integrated microphone and speaker in WayWay Q4035 allow you to do hands-free phone calls. Focus on your drive while you can dial or answer by using your WayWay Q4035 without looking for your mobile phone.